Full color crest is screen printed on the chest. Crew-neck design provides a classic fit. Soft cotton fabric provides a comfortable feel. 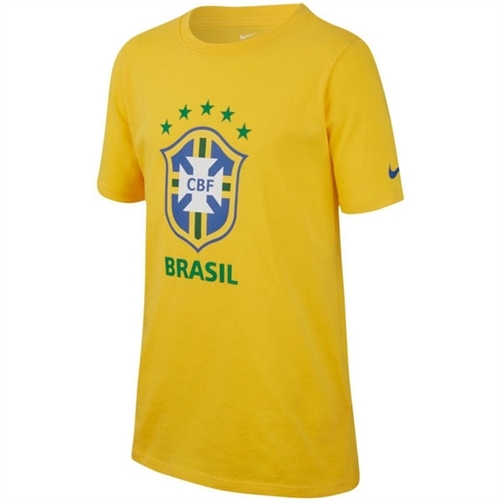 Our Nike Brasil Youth Core T-Shirt 2018 puts your team pride upfront with a screen-printed crest, while cotton fabric helps keep you comfortable all day.